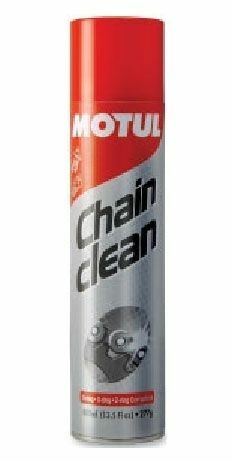 Motul Chain Lube is for road motorcycle chains. Ths is colourless and very sticky spray. Reduces friction and loss of power. 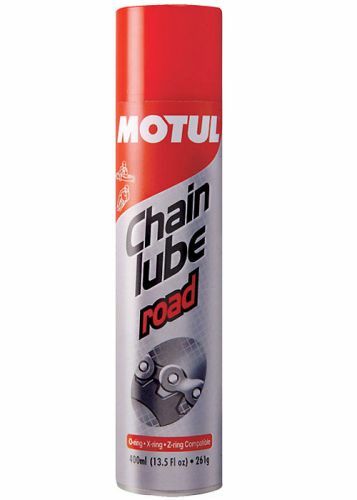 MOTUL CHAIN LUBE ROAD adheres completely after a few minutes. Spray from a short distance on the areas to be cleaned. Respray on very dirty areas. Evaporates very quickly.